Eye injuries can be very painful, disfiguring and debilitating. They can also change your life forever. Eye injuries can occur no matter what industry you work in or how careful you are. Eye injuries can be very painful, disfiguring and debilitating. They can also change your life forever. Eye injuries can occur no matter what industry you work in or how careful you are. These injuries can vary from minor eye irritations to permanent and total blindness. 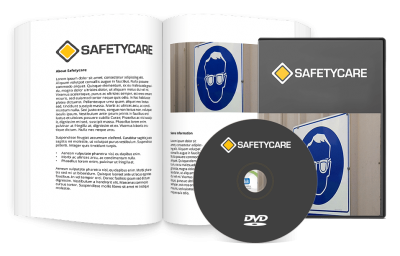 The aim of this training course is to inform the participants of the essential elements of eye safety. The course introduction clearly explains the aim of the course and the reason why the course is being conducted. It also includes an icebreaker called ‘Let’s Think About It’. This session involves the participants in an experiential learning exercise. During this exercise the participants are required to perform several simple tasks while blindfolded. The participants literally experience what it would be like to be blind. At the end of the exercise all the participant’s thoughts and feelings are processed and meaningful learning is derived from the experience. This is a powerful exercise and one that can create a positive change in people’s attitude towards eye safety. This session takes a brief look at the anatomy of the eye and how it works so the participants can have a better understanding of the damage that can be caused to the eye in the event of an eye injury accident. This session starts off by looking at the four main groups of eye injury hazards. Each of these main groups are then looked at and discussed in detail. This session looks at a wide range of control measures that can be used to reduce the risk of eye injuries. This session also includes an exercise called ‘Protecting Your Eyes’. This session looks at a wide range of injuries to the eye eg. a penetrating eye injury, a sudden blow to the eye, etc., and describes the treatment that should be followed for each type of eye injury. This session also includes an exercise called ‘Flushing Your Eyes’. The final session of the course involves the participants in a thorough review of all the key points covered during the course. The session then concludes with the participants completing a written questionnaire.